I found this audio book at the Dollar Store. 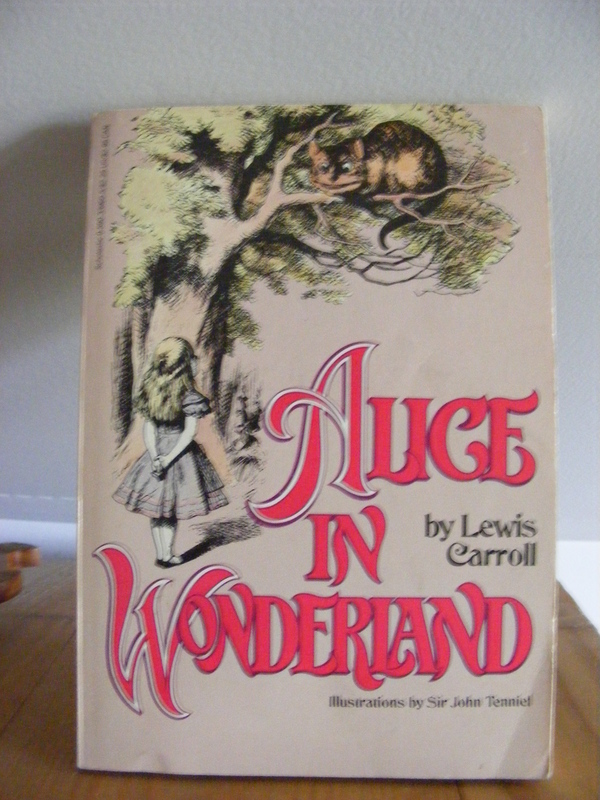 My Grandma bought me the first one, Alice’s Adventure’s in Wonderland but I haven’t been able to find it. So here the second one! Make sure to always check dollar stores on your Alice hunts! I’ve so far found a book and the two audiobooks. Lo and behold the treasures at the dollar store haha. This is a gorgeous copy of Alice in Wonderland. It contains twenty gorgeous colored enlargements of John Tenniel’s original illustrations. It’s a must have if you find it somewhere! 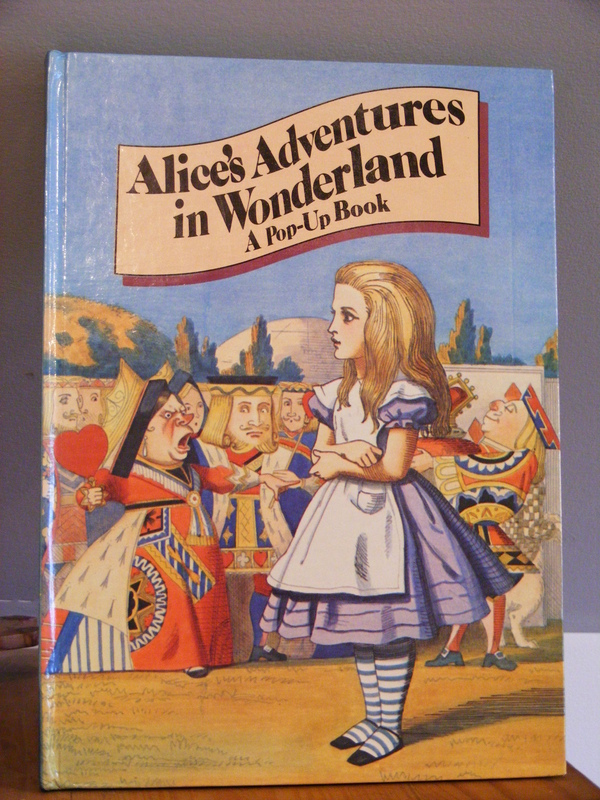 It even contains an introduction by Martin Gardner who is an authority on Lewis Carroll and Alice in Wonderland. The ISBN number for this book is 0831764783 . 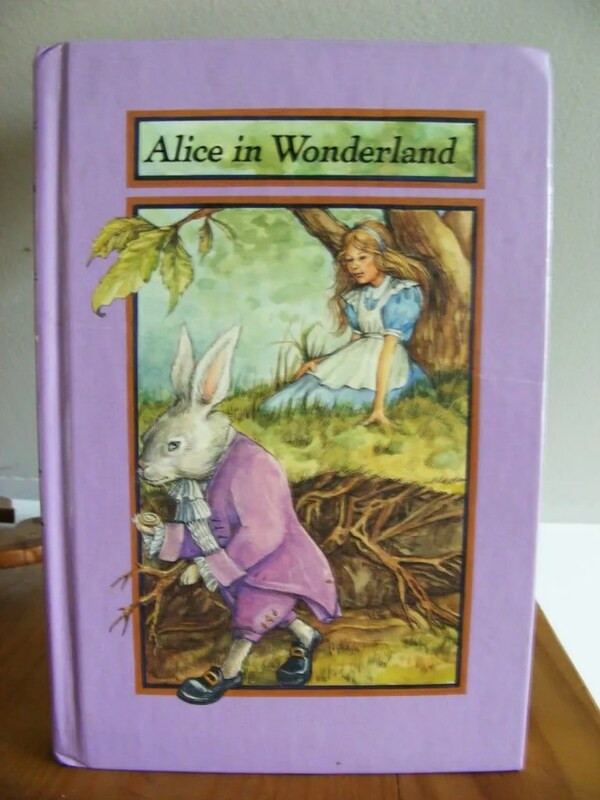 This is Children’s Classics copy of Alice in Wonderland. It has the original illustrations by John Tenniel. The front illustration is done by Anita Nelson. It says it’s just Alice in Wonderland, but the book also contains Through the Looking Glass. The ISBN for this book is 0-89434-121-9. This paperback copy of Alice in Wonderland is fairly common. It features the original illustrations by Sir John Tenniel. I personally love this copy soley because of the seventies trippy look given to the font on the cover. I got it again at the Schenectady Library Sale for twenty five cents. You can find this book on bookfinder.com. The ISBN is 059033960. Be careful though, because some of the books that came up were NOT this book. So make sure you read the description carefully.